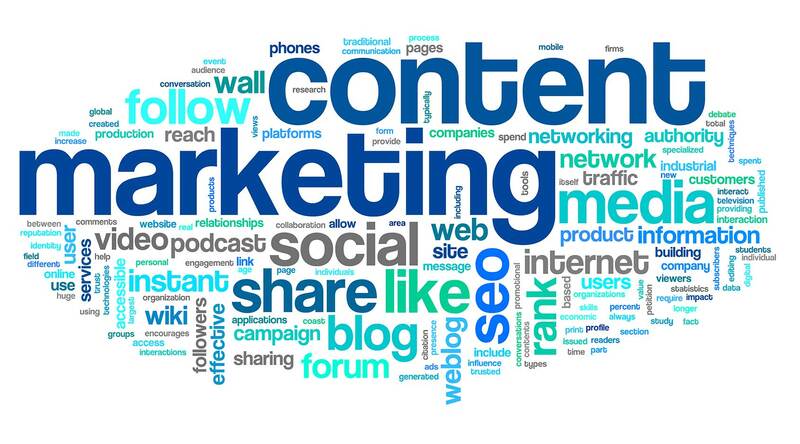 Content marketing is a direct approach in reaching a specific targeted audience in way of informational articles. In other words, content marketing is written pieces that informs or answers a question, and within the article the reader will be directed to a professional business or service that may further help solve their query. Where Is Content Marketing Seen? Content marketing is usually seen online when you consult a search engine (like Google) for a particular question you want resolved. Say you are looking for a “local landscaper”. You search on Google and you are presented with several thousand links for that particular query. These links direct you to a website, and in one of those links you’ll find your local landscaper. The positioning of these links are determined by different variables, which involve SEO (search engine optimization) and content marketing. Content marketing, along with SEO, helps websites rank better (on page 1-3) so they may be visible to the online reader. So if a website would want to rank better on search results for “local landscaper” it would have to write a breadth of articles concerning the keywords: local landscaper. The articles may address the local area, landscaping, a particular problem when landscaping, and so on to get top ranking for keywords: local landscaper. While this is a general description of content marketing, there are more strategies like: publishing in high authoritative sites, building your site as an authoritative voice (content strategy), and garnering a social media following that need to be implemented to create an impactful content marketing & SEO strategy. How Do I Use Content Marketing? When writing an article for your content marketing keep in mind that you should write about what your business does. Begin with one set of keywords. Think of all the aspects that surround your chosen keywords and break each aspect into an article. Visually think of this as each article funneling down to your chosen keyword. Honestly, this topic really needs its own article to better describe how write for content marketing. Once you’ve written your set of articles now a content strategy needs to planned out: publishing article on your website, developing a social media strategy, publishing article as a guest blogger on another site are a few ways to build your content strategy. Content marketing is a marketing strategy that uses informational articles to answer a particular query (or keywords). By creating these articles and utilizing SEO, this will lead to top ranking and more traffic to your website. Previous Previous post: Where Can I Find A Food Pantry in Keystone Heights?